1). Wash and soak the dal for 4- 6 hours or overnight. 2). Drain the excess water from the soaked dal and reserve a handful of dal separately. Grind the rest of the dal with red chillies, cumin and salt to a coarse paste without adding water. It will look crumbly but will get together easily. 3). Mix the reserved dal, chopped onions and coriander leaves with the prepared batter. Take small amount of mixture with hand and pat them on your palm to form a circle to medium thickness. 4). Heat oil in a pan for frying. Gently lower the patty's in the oil and fry both the sides till golden brown and crisp. Remove from oil and keep it on a plate. Drain it on a tissue paper. Repeat the same procedure for the rest of the mix. Slide the vadai's in batches. Enjoy the delicious vada with hot cup of tea. # Adjust spice level according to your taste. # Do not add water at any stage, except while soaking as the vada's will go runny as well as absorb extra oil. 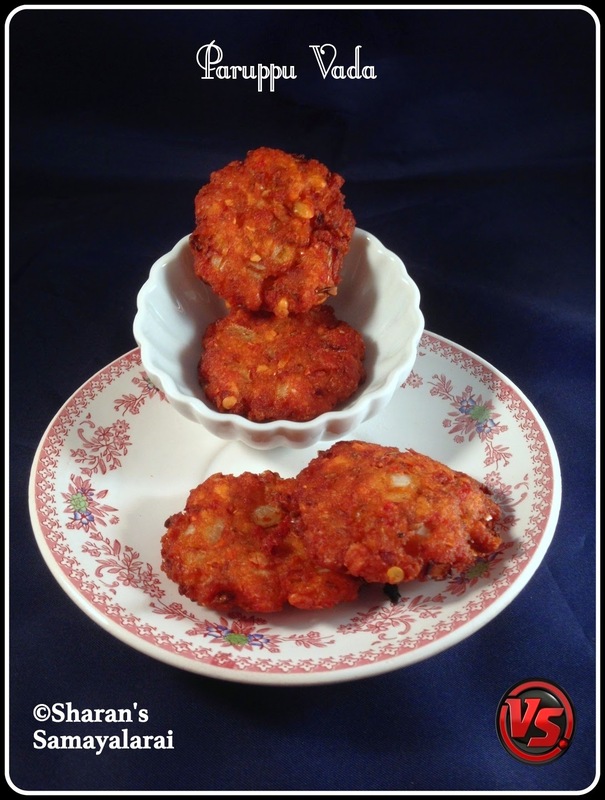 # If case, if there is moisture and you are unable to shape vadas out of the mixture, add a little besan/ bengal gram flour to the vada mix, so that it will absorb the excess moisture. # Beginners can grease a plastic sheet or zip-log bag, flatten the vadas on it, flip the sheet and transfer the flattened vadas to the hand and then slip them gently into the oil. # Let the flame be at medium level throughout the process. 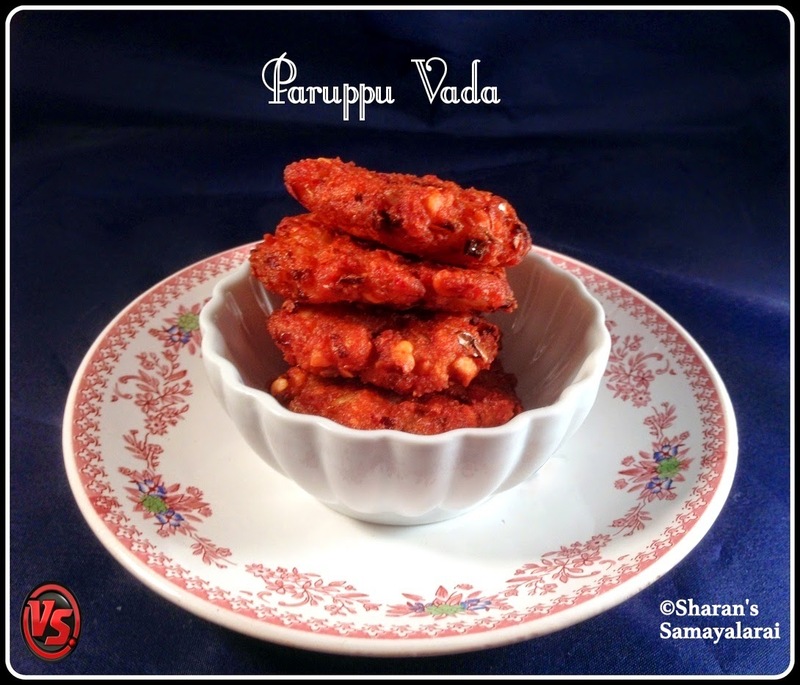 # Refrigerate the mixture for 20 minutes as the salt coagulates under refrigeration and the vadais turn very crispy.